Frozen Summer Fun Live is back again for 2015. Last summer it was such a huge hit that Disney has decided to do it again. It starts June 17 and runs through September 7, 2015 in Disney’s Hollywood Studios. 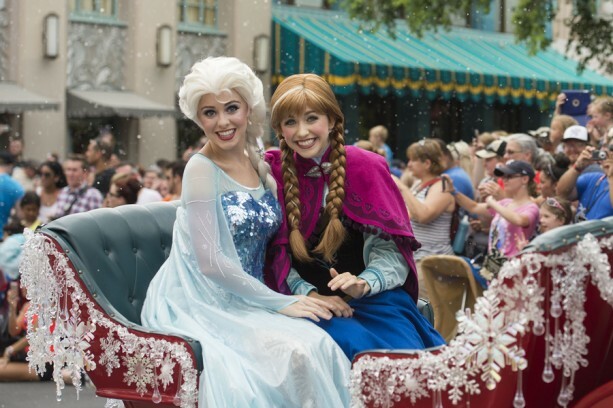 Calling it the “Coolest Summer Ever” the highlights include: Frozen Royal Welcome- located in the Hyperion Theater with the Royal Historians of Arendelle who retell the story of their kingdom with appearance by Elsa, Anna, and Kristoff. Olaf’s Summer Cool Down- Olaf and friends come to the Event stage and he shares a burst of his personal snow cloud to cool things off. “Coolest Summer Ever” Dance Party- once the sun is down near the Event stage there will be dance part featuring Disney characters and you can use a special hashtag to request songs over social media. Frozen Fireworks- At the end of the night a fantastic fireworks display set to the music of Frozen. The fireworks were a huge hit last year so we fully expect them to live up to the high standards Disney has set. If you are planning a visit this summer tell us what you are looking forward to most!